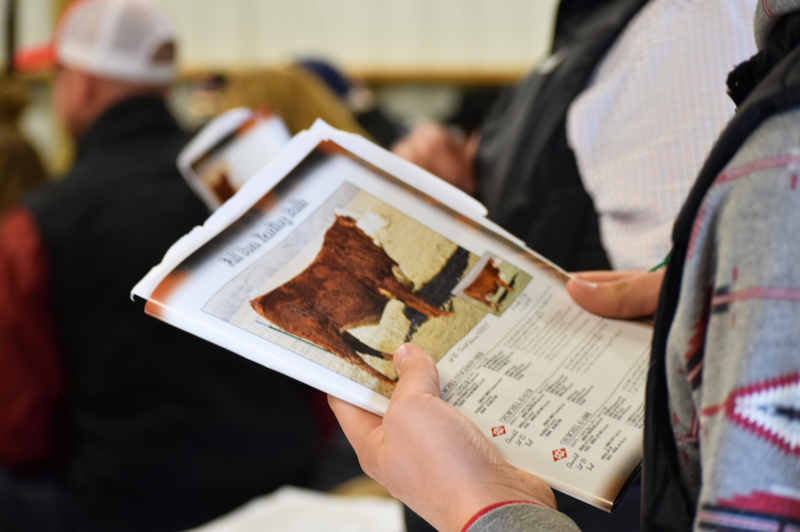 A sale catalog is one of the most important marketing tools a producer has, and should be given enough time and attention to guarantee it's meeting buyers' needs. Photo by KRose Marketing. While “swag” is always fun to give and receive, one of the best gifts you can give your buyers (and your business) is a quality, timely catalog. You may spend a few extra dollars, but if it gets even one more buyer in the seats or in front of the computer, it will pay off. 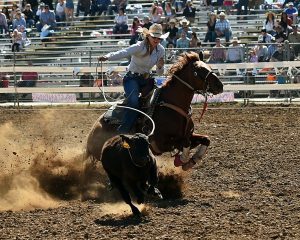 These tips are from Kim Hoffman, who has years of experience photographing cattle and compiling catalogs. A good photo will always help; a bad photo will always hurt. No photo is better than a bad photo. Always shoot with the sun to your back. Shade can provide a uniform light, but the entire animal has to be in even shade for it to have a positive effect. A camera should be viewed as a tool like any other tool you would use on the ranch. Buy the best you can afford and learn to use it well, or hire someone else who has the correct equipment and knowledge. Pay attention to the pen. It’s worth a little extra effort to make sure the pen has clean straw, that the pen is well-maintained and the background isn’t distracting. Everyone understands that these aren’t necessarily show animals, but trying to plan for photos when the animals are relatively clean can help too. Never alter the structure of an animal. Rule of thumb is to remove only imperfections that aren’t permanent (flies, mud, manure, etc.). Only alter photos if you are sure the changes won’t be noticed. Obvious edits make buyers question what else might have been edited. Get your data early so there isn’t a lot of important information on a supplement sheet. There’s no shame in a supplement sheet, but don’t make your buyers look for the really important stuff at the last minute. Keep your deadlines in mind when putting together your data – how much turnaround time does your printer need? Allow for mailing time. Don’t mail catalogs so early that they get lost amidst the hundred other sale catalogs, but don’t wait until the last minute either. Usually two to three weeks, up to a month, is ideal. Keep the information clear and simple. Make sure it’s obvious in your catalog which photo, pedigree, EPDs and description go with which lot. Make your website, phone number, sale date, time and location easy to find, and don’t be afraid to repeat it often. Does anyone really care if a cow’s great grandsire’s half sibling sold for a ton of money? Keep the information relevant and try not to just repeat what they can see in the pedigree information. While you may be proud of certain aspects of your programs, give the buyers what they need– this is a tool for them. Get a second (and third) opinion. Have friends and family review it. Pick people who aren’t afraid to give you their opinion. Ask them to watch for typos, incorrect information and poor quality photos.